When backpacking solo we often find ourselves greatly accustomed to sleeping in a room with 4-12 other people. The dorms are living organisms in themselves. There always seems to be someone sleeping, no matter what time of day, and there are always people in the bathrooms. Some of us who have been on the road for a very long time have gotten so used to living in dorms that we get bored the few times we reward ourselves with a private room. We miss having the people around. We feel like we’ve been tucked away from the world, stuffed in a closet. I recently was given a private room in Campo Grande, Brazil and in my boredom I compiled this list as a guide for things to do once you, the backpackers, are put in this stressful position of having a private room. 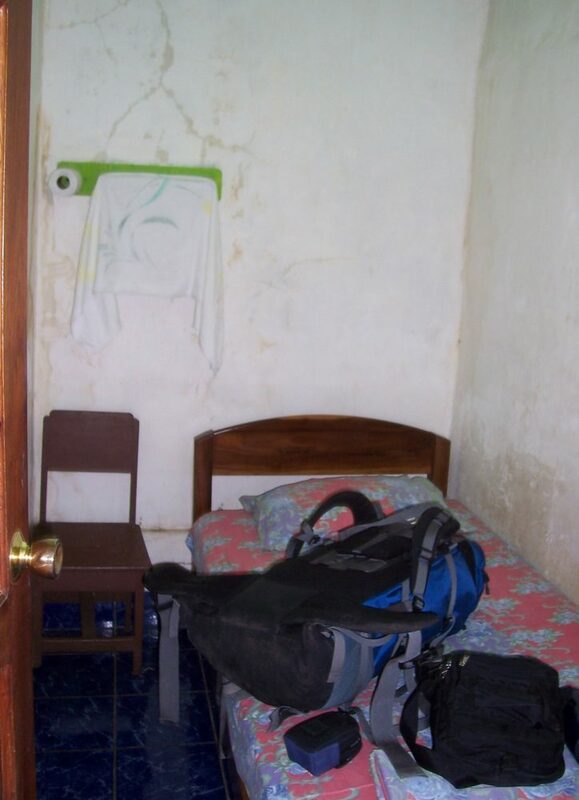 This is my Backpacker’s Guide to properly making use of your private room. Go into your bag and just throw your clothes all over the room. Build a fort out of the mattress, blankets, pillows and whatever else you can find. Invite friends. Have a “room party.” Make invitation fliers and post them all over the hostel. Take a 32 minute long shower. Recreate your favourite movie scene in front of the mirror. Walk around naked for at least an hour. Don’t forget to close the blinds on your windows first. Sleep in until 1 in the afternoon without caring what anyone thinks of you. Laugh really loudly and keep saying “Oh (insert your name here) you are the funniest person I have ever met, then walk around the hallways and introduce yourself to everyone who may have heard. Be sure to wink. Run tiny laps around your room, preferably wearing gym clothes and a headband. Buy a set of toy army figures and play war. Jump on the bed. *Note: watch for ceiling fans. Invite dorm stayers to go on tours of your private room. Ask people if they want to play hide and seek. Once you get a game going just go hide in your private room with the door locked and watch TV. Make a list of what people should do when the get a private room. Don’t forget to check them off as you go.